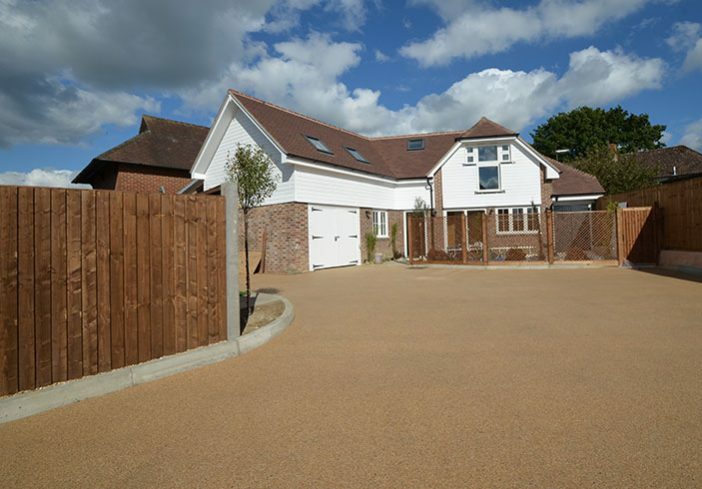 Clearstone’s resin-bound gravel has provided an attractive welcome to a mews development combining the refurbishment of a Georgian property with the construction of a new dwelling. 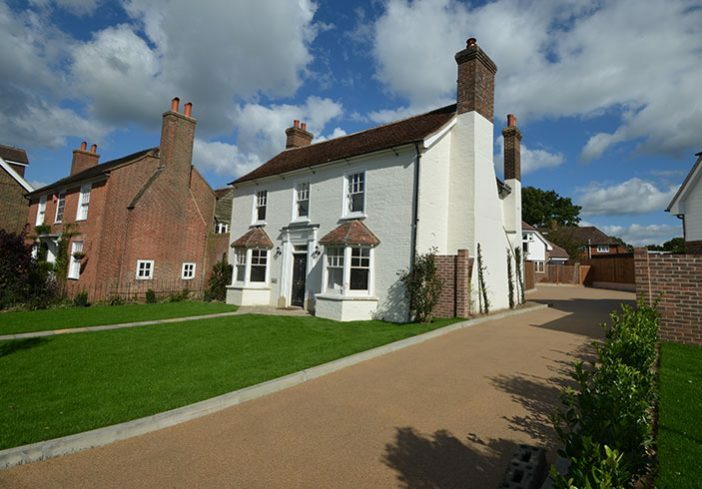 At Cowfold in West Sussex, developers Hellett & Holden took on the task of refurbishing a grade-2-listed Georgian house and stables, and constructing an adjacent new house. This rural location, in the heart of the Sussex Weald, called for a sensitive approach to design and specifications of materials. For the driveway and parking areas, totalling 220m², the local authority demanded a high aesthetic standard. 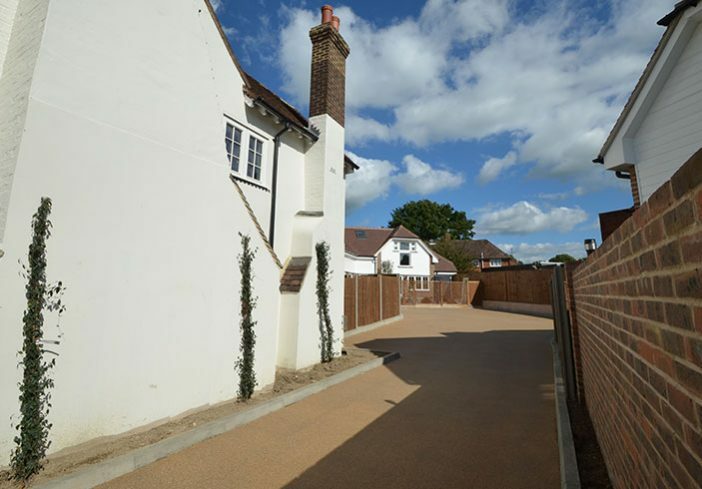 They specified a permeable surface be used, compliant with current SuDS regulations, so block paving was deemed unsuitable. Permeable pavers were briefly considered, but lacked the smart appearance needed for this upmarket project. 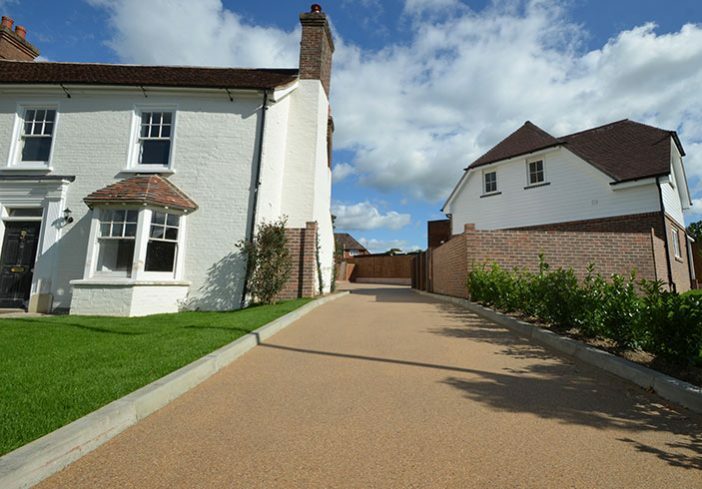 Resin-bound paving, with its permeability and good looks, was recognised as the solution Hellett & Holden were looking for. 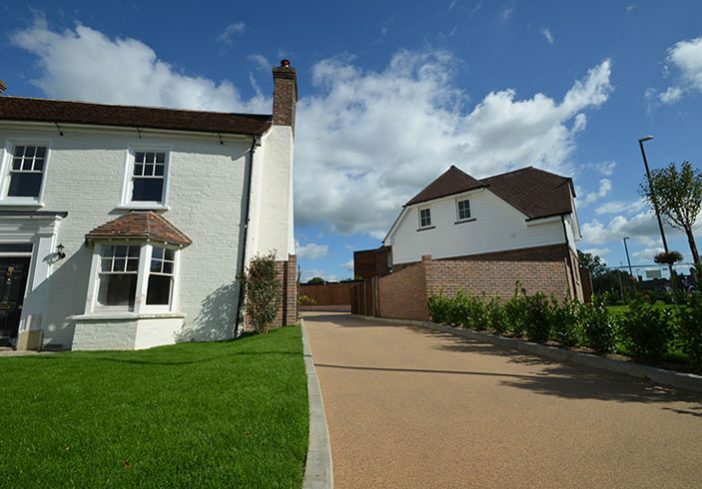 Understanding that installation of resin-bound systems is a specialist matter, the developers approached Clearstone to work on the finer details, and then to install the surface. 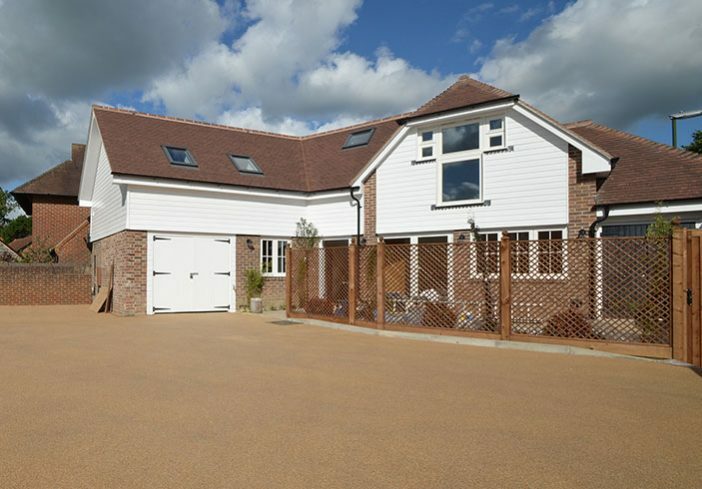 Developer Sean Hellett believes first impressions are vitally important for his projects: “Estate agents and prospective buyers coming to view the property have been instantly impressed, often commenting on the stylish driveway” he reports. The finished result is one that everyone – developer, builder and Clearstone – is happy with. 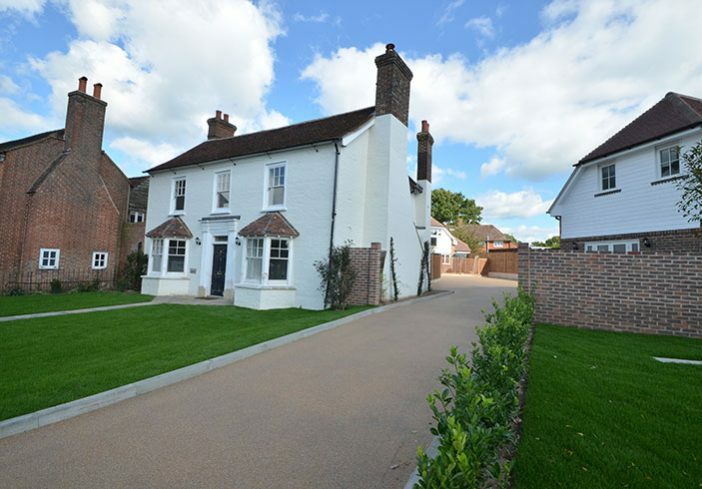 “The costs were slightly higher than for block paving, but it’s been well worth it to get the tasteful appearance we wanted to achieve.” affirms Sean. 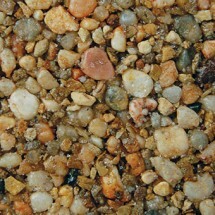 Planning Approval: requirement of SuDs regulations for permeable driveway and paths. Local Authority: new dwelling to have period features sympathetic to the Grade-2 listed Georgian Viscount House.